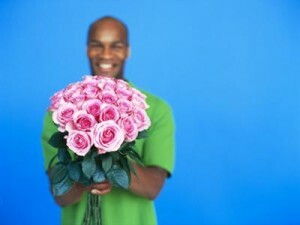 When it’s time to give flowers to a woman, more often the flower of choice is a rose. They have got a reputation as being the flower of romance and make a girl swoon when she sees them. But what are you really telling her when you give her a rose? There’s the basic “red means love,” but roses can say so much more than that (depending on the color you choose and the amount of roses you buy). These are the traditional symbols for love and romance when it comes to flowers. Giving a red rose means that there are some serious emotions going on. A pink rose is a bit gentler than red. It still means a feeling of admiration and adoration but on a lower level. More along the line of feelings starting to grow toward love. Yellow roses are often given to a very good friend. They don’t necessarily convey a romantic notion; rather, they tell the receiver that you truly value the happiness she brings you and her friendship. White color roses represent purity. They are often given to those celebrating new beginnings, weddings, or in memory/honor of someone close to the giver. Much more exotic and vibrant than most of their counterparts; orange roses are given as a passionate statement. They embody the passion and excitement that can come with a new relationship. The lavender rose is uncommon and very unique as its message. When giving the lavender rose, you are saying that you have been struck by love at first sight. The regal light purple color can also go along with feelings of enchantment. Once you’ve decided what color rose fits the feelings you have for your girl, now you have to decide the number. 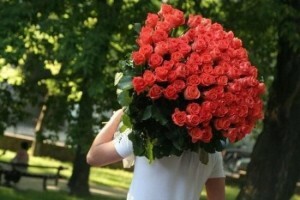 This is more trivial than the color, but still follows the age old tradition of speaking with roses. Love at first sight and a full devotion to this person. There are mutual feelings between both parties. Serious feelings exist, and you’re ready to date seriously. This person is on your mind all day. A solid relationship can last forever. Phew! That’s a lot to remember. Most people won’t understand all of this or even make an attempt to find out what the bouquet of flowers in front of them means. But she will be more than impressed if you can pull this knowledge out and tell her the true meaning behind the flowers you bought. You will be seen as the romantic gentleman who knows the ancient language of roses.